It's not every day that a club owner sets his bar on fire to celebrate a great performance from a visiting band, but that's just what happened when The Brian Travis Band rocked the Isla Cantina on Sunset Boulevard. As the band dove into the opening notes of the Burning Man-themed crowd favorite "Gasoline," a row of flame whipped across the top of the bar. "We were firing on all cylinders that night," says singer and guitarist Brian Travis. "The place was packed and we were charged up. Our best shows don't just rely on execution. They happen when we're playing with great energy and the kind of momentum that pushes rock and roll forward, tapping into the spirit of the music itself." The Brian Travis Band sure doesn't lack for that energy onstage; whether they're playing to a mellow Venice crowd at The Stronghold or a pumped up room of Hollywood-goers at The Hotel Cafe, The Brian Travis band plays with the kind of fun punk attitude usually reserved for moshing crowds. Travis, Mark Wickliffe (drums), Steve Wiel (bass) & Joe Arena (guitars) effortlessly mix classic rock with twangs of country and hints of the blues, giving traditional folk melodies a unique rock and roll vibe. It's fitting that Travis got his own start in music thanks to another band with its own brand of a celtic folk-punk, Welsh rockers The Alarm. After losing a shoe and ripping his shirt in a packed crowd of 25,000 Alarm fans one afternoon at UCLA, teenaged Travis made up his mind to buy himself an acoustic guitar. "I was already acting in theater productions in high school and have always been a visual artist," Travis says, "but seeing The Alarm live just flipped a switch in my head. That was the first time I realized that the power of rock and roll could change people's lives, and I knew I wanted to write songs that could have an effect on people the way The Alarm had an effect on me." After high school, Brian headed up to Northern California and made music his life, moving into a warehouse with fellow musicians and rehearsing constantly. After his first band Forward disbanded, Travis fronted a new collective called Third Wish. Travis had collaborated with other songwriters, but Third Wish was his first opportunity to provide all of the original jam-rock material. Third Wish gained momentum in the Bay Area, opening for The String Cheese Incident, Vinyl and Michelle Shocked, and releasing their own six-song EP "Wish," produced by Evan Riely. Following the release of a five-song solo EP "There from Here," Travis embarked on a six-week solo tour of Italy, Holland, Germany, Switzerland, Prague and Brussels. Shifting band mates saw Travis playing in acoustic group called Wishcraft, which garnered attention at festivals and even a plaque from the city of Santa Cruz. But it was time to seek out new challenges and head south again to Los Angeles, where Travis played solo gigs for a few months before a promoter suggested getting a band together to book larger clubs. Travis promptly got in touch with Third Wish guitarist Jason "Ace" Gonzales, found two talented LA musicians and booked a show at the club. The promoter billed the group as "The Brian Travis Band," and the name stuck as Travis found that Gonzales, Thaddeus Wiseman (drums) and Manny Vega (bass) made for one solid band. 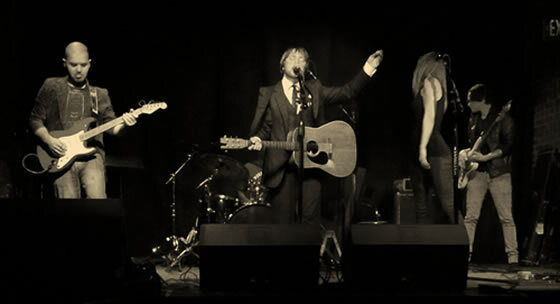 Together, the four musicians recorded demos, toured up and down the California coast, and stormed the UK with shows all over England, Scotland, Wales and Ireland, which culminated in an opening slot that saw Travis performing onstage with his musical hero, Mike Peters of The Alarm. The Brian Travis Band released their debut CD "Past the Breakers" in 2004, but the group had lost Wiseman to a pretty woman he had met while touring the UK with the BTB and Vega eventually moved back to San Diego. Soon Travis added Matt Brown on piano and keyboard, Mark Wickliffe on drums and Steve Wiel on bass, flourishing as a group even in the face of line-up changes, indie label deals that never went through, fruitless contract negotiations with entertainment lawyers and other obstacles in the tumultuous music industry. 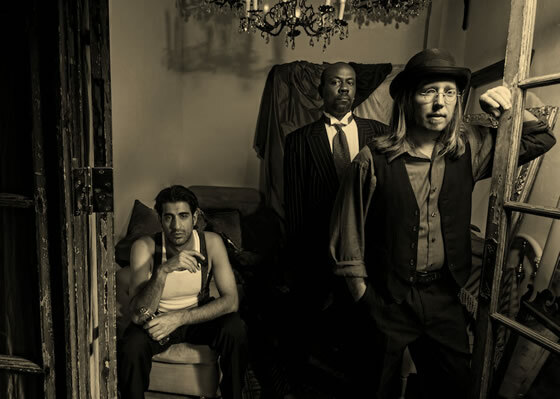 In May 2009 The Brian Travis Band released their new album "The Bigger Picture," produced by Mike Starr and completely funded by fan pre-orders. Having been featured on KZSC Santa Cruz, KCSN Northridge and KCSB Santa Barbara, among many other college stations, the band's new album saw more play on college stations and quickly sold out of physical copies. In June 2011, the group were approached by George Landress, a seasoned LA producer whose credits include work with No Doubt, Jane's Addiction, The Killers, Jimmy Cliff and many others. George was inspired by the bands original material and offered to take the band into Grammy award winning recording studios to produce a brand new BTB album. Brian Travis and company spent a year wood shedding new material with George and a brand new BTB CD entitled, The Coyote & The Crow was released word wide in Feb 2013. With 6 albums of original material and countless live shows under their belt, The Brian Travis Band continue to wow Los Angeles crowds with their own brand of heartfelt rock and roll. With songs about everything from trailer park girls to pyromaniacs, the music of The Brian Travis Band has developed into the kind of well-crafted rock that keeps audiences dancing while making them laugh and smile at the clever lyrics and funny stories that punctuate BTB tunes. The band has worked hard to earn its place as a Los Angeles mainstay, and with plans for future material and an upcoming tour already in the works, The Brian Travis Band won't be taking a break anytime soon. There is simply too much burning passion in the band's driven frontman. "We're exploring all these different sides of ourselves right now," Travis explains. "We're planning to record an album with more of a country sound we've been exploring lately, and we've even been writing a children's album, but it won't be long before we get back to the signature Brian Travis rock sound-- because that's truly what's in my heart."